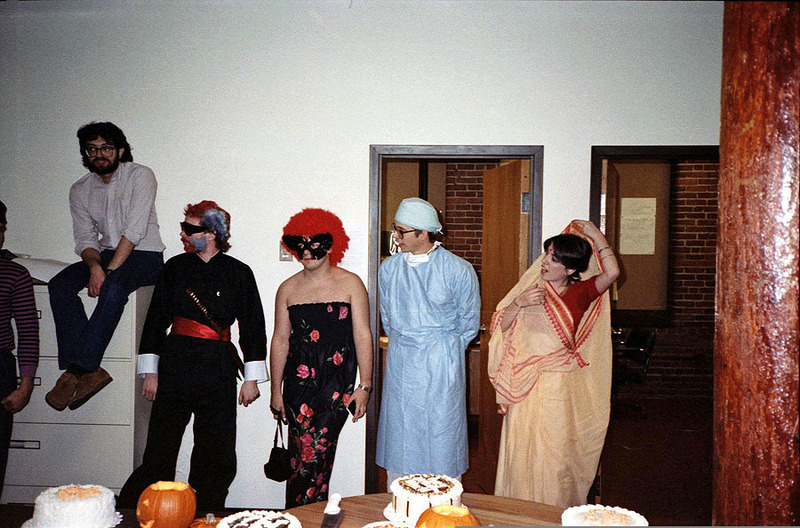 A Halloween Party. KevinO in the dress. Yup. And that's Larry Dennison in the doctor getup, isn't it? I think Kevin O is in the gown and red wig.